Its a Long Way to Tipperary! Its a Long Way to Tipperary! 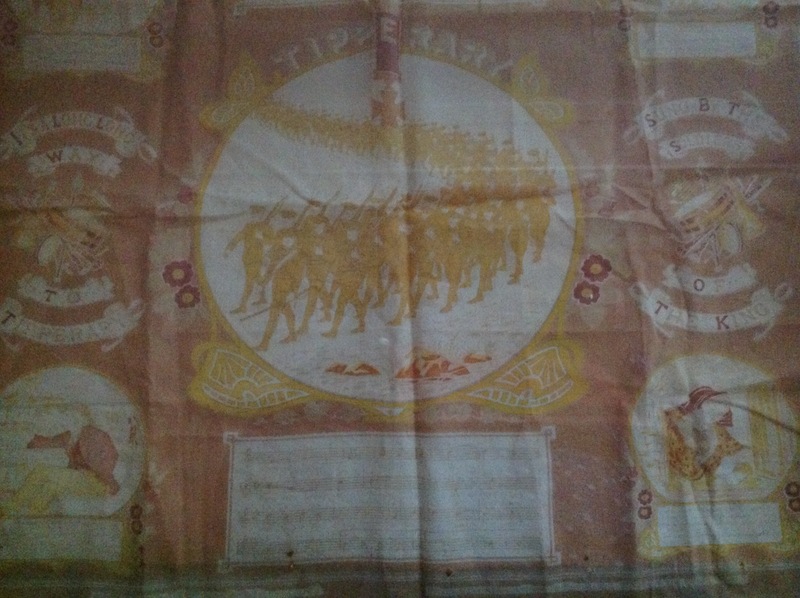 This souvenir scarf belonged to Queanbeyan soldier Trooper H Cantle of the 12th Light Horse Regiment AIF. Enlisted 7th August 1915. Discharged 21st October 1919. He also served in the Second World War. Drop along to our Museum Open Day this Saturday 11-4 to see the original scarf in our WW1 exhibition, locals in authentic WW1 uniforms, hear a wonderful concert The Riderless Horse – Australian Songs from WW1 and see The ANZAC Reels a compilation of footage from The NFSA collection, there will be food and drink. Check out the rest of the Museum displays while you are there!